Mauro Perucchetti Ltd is a family business owned by John and his sons who produce a wide range of unique recipes that have been developed over the past 35 years. 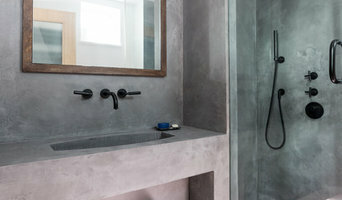 We offer our clients a truly bespoke service and the expertise to create unique and luxurious polished plaster finishes. We specialise in custom polished plaster finishes with a range of colours and textures that give our clients a unique wall finish. We have a wide range of finishes, but if you require something a little different then we have the skills and knowledge to create your bespoke dream finish. We offer a professional and friendly service to all our private and commercial clients. With extensive experience working on projects across the UK as well as international locations such as New York, London, Monaco, Florida and Dublin. We will work with you throughout your project from the initial idea to its final realisation to create your dream finish. You can rest assured of a professional service and quality workmanship, be it in the UK or any other international location. Our passion for perfection is infectious and that's why leading interior designers, architects and global brands continue to work with us. If you are planning on going simple with your walls, perhaps a crisp white or grey, then using Uxbridge, Greater London painters and decorators to finish the job to a high standard is still advisable. Not only will it mean your painted walls will be clean and precise, but it will also save you the time and effort. House painters in Uxbridge, Greater London will be quick and efficient at painting your rooms, and if you have a tricky outside wall or space that needs painting, specialist exterior painters are the professionals for the job. We all know it can sometimes be extremely tricky to get wallpapering right, too; lining up those strips of paper can drive some people round the bend, especially if it’s patterned wallpaper. But there are Uxbridge, Greater London wallpapering professionals that can do the job for you, and even regular painters and decorators will usually be happy to take on the work. If you want something more unique for your walls, wallpaper designers can create bespoke wallpaper patterns for your home or offer an exclusive selection for you to choose from; whether you want a geometric print, delicate birds and plants, or fabulous florals. Wallpaper designers should also be able to advise you on the best positioning of your wallpaper and how to apply it, so the advice won’t stop after you’ve bought the wallpaper. For those that can’t stretch to bespoke designer wallpaper, there are also plenty of wallpaper stores and suppliers that will stock a really wide range of designs to choose from. Shopping at wallpaper stores won’t break the bank and could still mean your home stands apart from those that have gone to high street names. Wallpaper designers and painters and decorators can do more than just throw a bit of paint or paper at the walls. 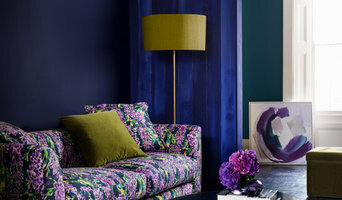 Once you start looking on Houzz you’ll find there’s a myriad of Uxbridge, Greater London specialists who can help you choose the right paint colour, design unique wallpaper patterns and even prepare your walls before paint or paper application. 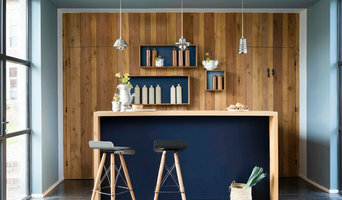 Paint and wallpaper companies have been established to offer bespoke services when renovating your home – they can consult you on the style you want, asses your rooms and design the perfect wall coverings, either working with paint and wallpaper designers or stores, or doing the work themselves in-house. Then, of course, they will apply your chosen wall covering and give your walls the appropriate finish. Some may handle decorative paint treatments, wall stickers, murals or patterns. You can search for specialist Uxbridge, Greater London painters such as mural, furniture or sign painters on Houzz, too, so if you have a piece of furniture you want to revamp or a space you want to give some special detail to, you’ll be able to find the right person for the job. You can also talk to your local Uxbridge, Greater London painters and decorators to see if they also specialise in any specific painting jobs other than standard wall painting and decorating – you never know, they may be able to paint beautiful murals, spray arty graffiti or be skilled at stencilling. Wall covering and paint contractors may also work closely with other Uxbridge, Greater London professionals such as interior designers, builders and stylists, too. Here are some related professionals and vendors to complement the work of paint & wall covering dealers: Interior Designers, Artists & Artisans, Curtains, Blinds & Shutters, Carpet & Flooring. Find painters and decorators or wallpaper designers on Houzz. Narrow your search in the Professionals section of the website to Uxbridge, Greater London paint or wall covering professional. You can also look through Uxbridge, Greater London photos to find examples of wallpaper and paint jobs that you like, then contact the professional who worked on them.